MAIREARAD GREEN & ANNA MASSIE: Two of Scotland’s most revered multi-instrumentalists, Mairearad Green (accordion and bagpipes) and Anna Massie (guitar, banjo, fiddle) are a truly captivating duo, providing a highly energetic performance with an instantly warm and friendly stage presence. ‘Best Day’ was recorded at Gran’s House Studio in Lamington in the peaceful and picturesque Scottish Borders. Remaining true to their live sound, the album is performed entirely by Mairearad and Anna themselves. 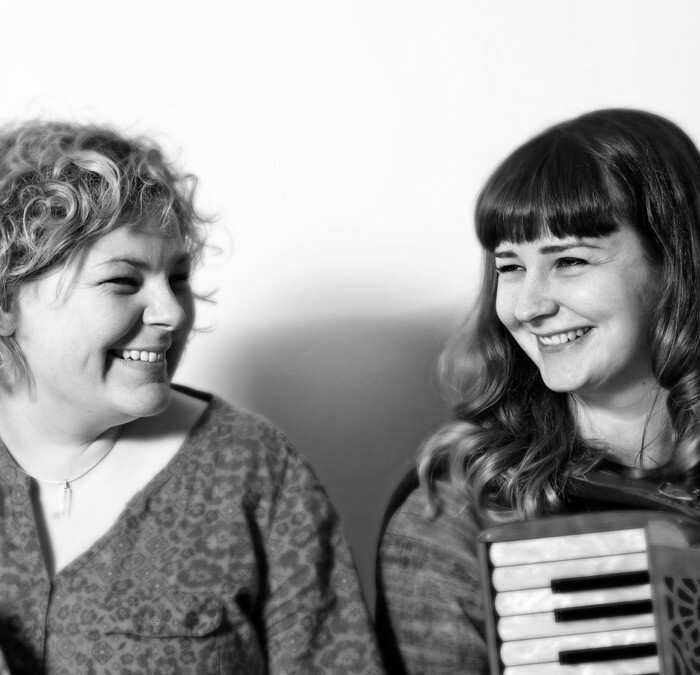 Their pairing combines Mairearad’s deft and lyrical accordion style, as well as her masterful piping, with Anna’s unparalleled versatility on guitar, fiddle and banjo. After over twelve years playing together, in the last few years, both have introduced songs to their live set, demonstrating the pair’s seemingly infinite abilities as musicians, but also the symbiotic synergy of performing together. ‘Best Day’ is the duo’s first album to include songs, and it will be available exclusively on tour, ahead of its release on November 16, 2015. Both award-winners, Mairearad and Anna can also, individually, be seen performing with a number of well-known bands and artists; The Poozies, Blazin’ Fiddles, Bella Hardy, and Box Club, and together they join Scotland’s one and only Celtic Big Band, The Unusual Suspects.